Luxurious Wedding Accessories offers an exquisite way to decorate your wedding cake table. Ever so pretty. Your guests will marvel at your Swarovski crystal trimmed Bride and Groom wedding cake plate, Champagne Flutes, and Cake Cutting set. Your wedding cake table will be the center of attention it deserves. Luxurious Wedding Recommends... using our Crystal Embellished Champagne Flutes and a crystal embellished Cake Server Set to make your cake cutting pictures exquisite. 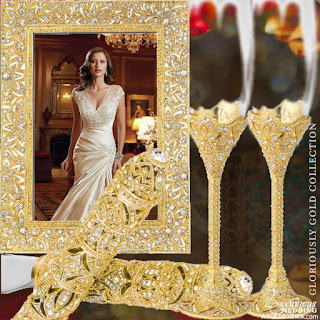 The Company of Kings Wedding Toasting Flutes are regal, a show stopper and absolute exquisite. They will make a stunning appearance in your wedding photographs and will be cherished as a life long keepsake. 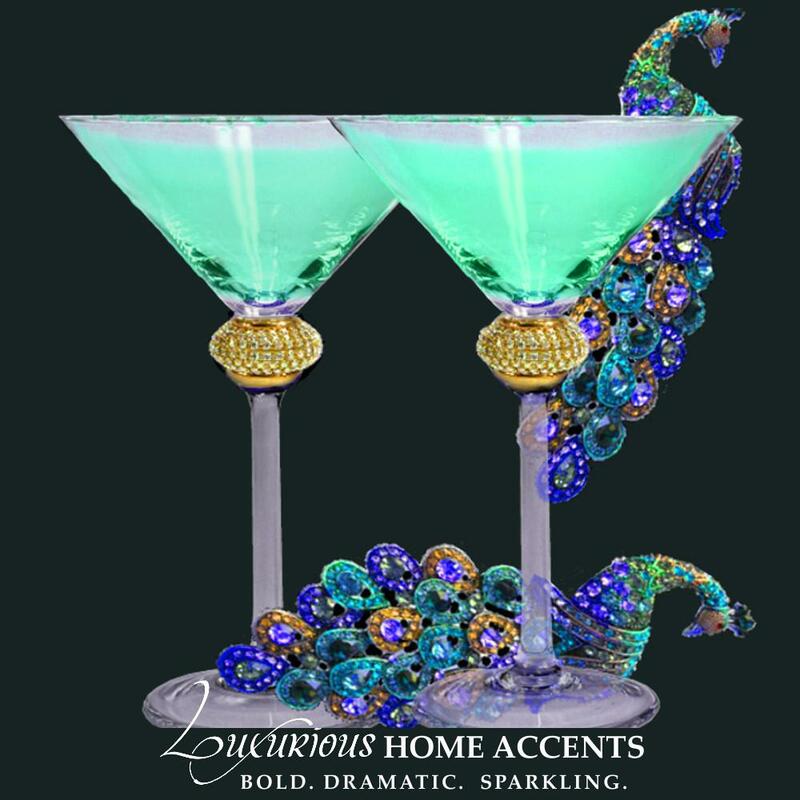 A base of Burnished Silver Plate supports an overlay of Pearl encrusted with Swarovski Crystals. The Stem is 4-1/2" tall and the 6 oz. Champagne Bowl rises approximately 5" high. The Allure Crystal Brooch Bouquet offers the ultimate blend of Bling and sophisticated glamour for the bride who wants to make a statement and have a keepsake for a lifetime. Sparkling crystal brooches offer a spectacular presentation dramatically arranged to create an alluring floral cluster rising out of an intricately detailed antique silver toned bouquet holder finished with a crystal ball on the tip. Bouquet Holder is available in Antique Pewter or Gold Tone. The holder can also be embellished with crystals. 7" wide by 13.5" high. Custom made. Brooch designs will vary. Luxurious Wedding Recommends... A companion Brooch Boutonnière for the groom and groomsmen. ... just like you are. You dream it. They will create it.